Tamara Moskvina commented on bronze medal her pair Boikova and Kozlovski won at European Championships 2019. After the free program, in the mixed zone Alexandra and Dmitri talked about the significance of their bronze medal, noted that you have already been through so many World Championships and the Olympic Games that the medal of the European Championships hardly gives you strong emotions. Is this true? – Every new generation is a new book. And every page in the new book is as significant as the very first. For the new couple, which we are training with Artur, this is very significant, especially in the first year of the Olympic cycle. In the free program, Dmitry made a mistake on jump combination and was very upset, because he understood that this mistake could cost them a medal. Did you have time to think that the pair wouldn’t get on the podium and to scold the guys? – I never scold anyone in the kiss and cry corner. After the end of the competitions, when we make an analysis of the performances, we highlight the positive and negative sides of the performances and set tasks for the next competitions. The result of any competitions is determined only after the last participant has skated, when the final table appears on the scoreboard. Three more couples had to skate after guys, in sports a split second can decide everything, in our case the hundredth points decided. 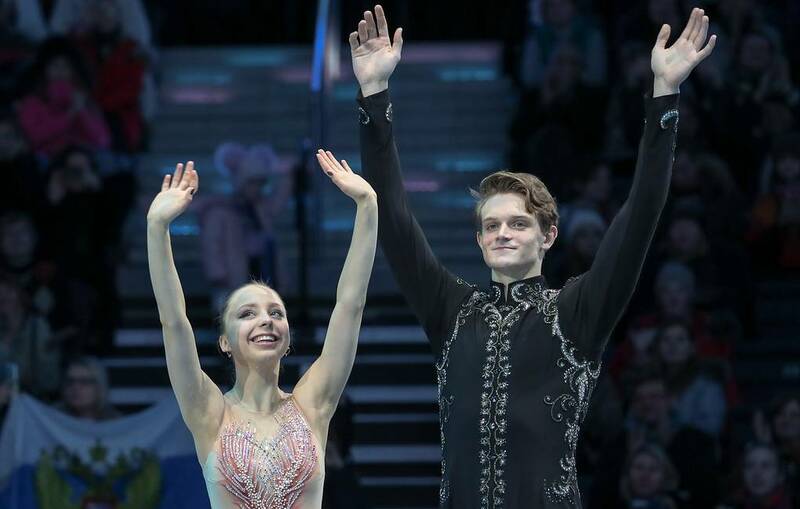 If they chose the most charming participants of the European Championship, it would surely be your skaters, because you want to watch them on the ice and listen to them off the ice. – It’s great that they were able to get such development in school and family. Due to this, our work with them is intellectual and successful, because athletes must have a broad outlook, including in musical and artistic terms. It helps. The most charming? There were a lot of participants, we should have had a survey, and then made final results (smiles). The guys showed themselves in Minsk decently, as we teach them: the audience should get a pleasant impression. How did we settle for competitions? All this is in the textbook on psychology. This is the skill of the coach to psychologically prepare his student for competitions. Dima made a mistake on a simple for him element, which means that our work was insufficient. What were my impressions of the championships? After watching all the disciplines, I have several sheets of paper with notes about some interesting lifts, step sequences and transitions.